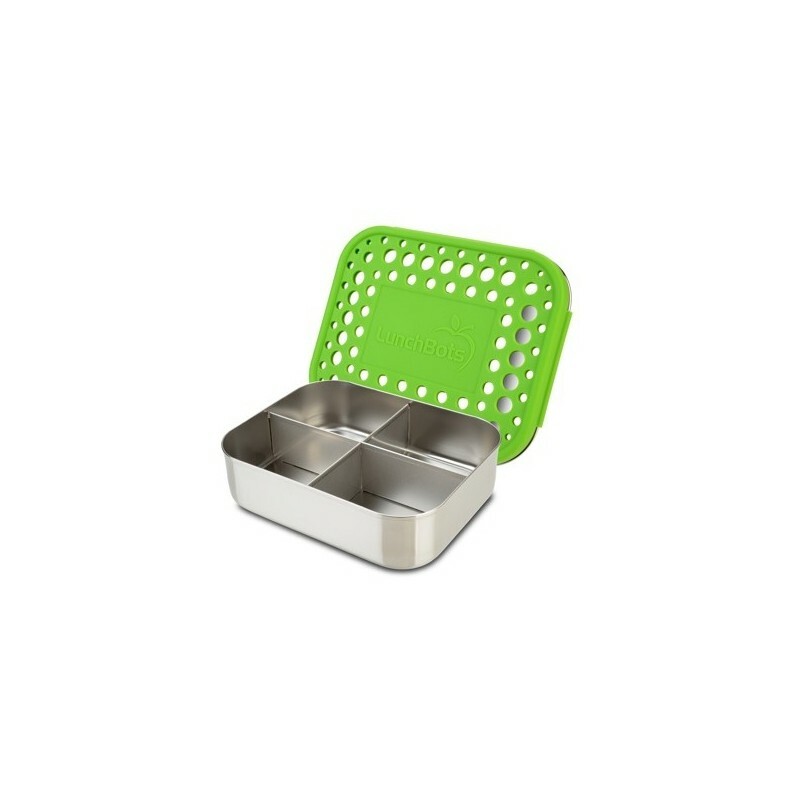 A medium sized, four compartment stainless steel lunch box. 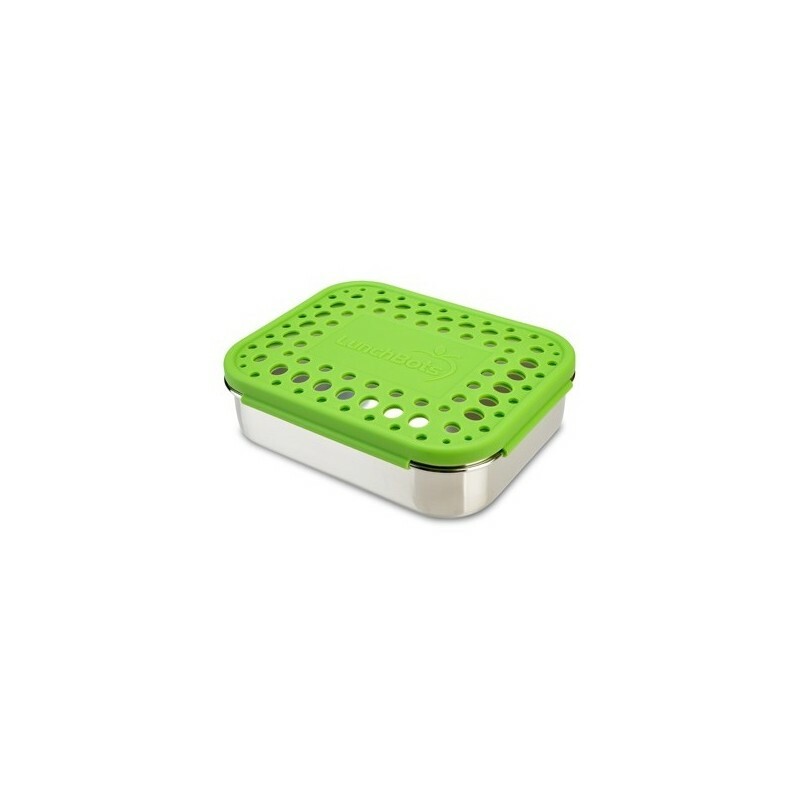 Quad green dots design. 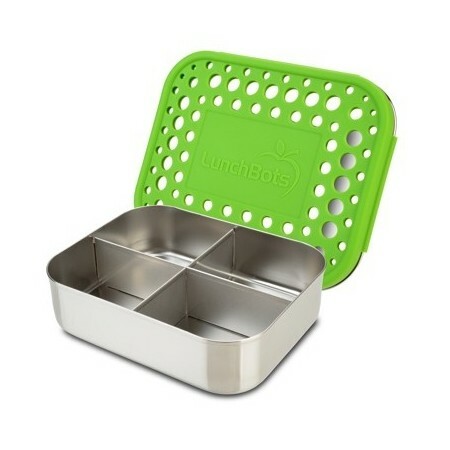 LunchBots lunch boxes lids and containers are manufactured from high quality, food grade, 18/8 stainless steel. Free from BPA. Previously known as the 'Classic' container. 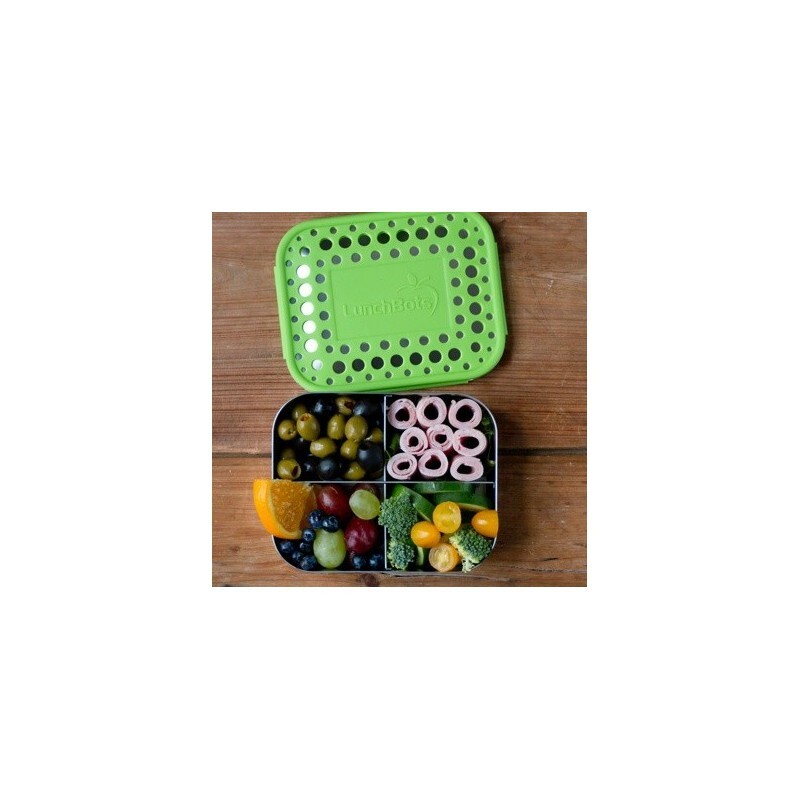 The LunchBots quad green dots has four versatile compartments for a balanced lunch and snack. We have bought a LunchBot for each of our children, and we use them constantly. They are so handy, a good size for snacks in the car, and easy to fit in cold bags or my bag. We put them through the dishwasher, and they've lasted great so far. Just love Lunchbots - excellent lunch box for little ones. Easy to clean and lasts and last and lasts.